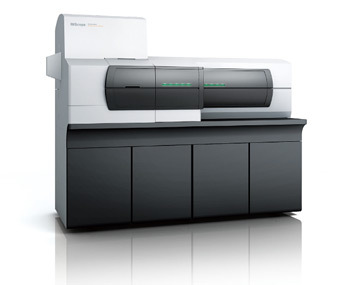 Shimadzu will take the opportunity to introduce a unique combination in mass spectrometry and also organize the first user´s meeting in Europe for mass spectrometry as well as several lunch seminars. We kindly invite you to participate in our free lunch symposia and the Shimadzu User´s Day to get insights into latest technologies in mass spectrometry. Just reserve your seat for these opportunities in advance and follow the registration link below. Our experts look forward to welcoming you at our booth to discuss our latest innovations and answer your questions about our solutions for science. Shimadzu special: Registered persons for our User´s Day will receive a Shimadzu Power Bank as farewell gift. * The Shimadzu User´s Day is official part of the IMSC. Only participants of the conference can attend our User´s Day. Early-Bird Registrations ending on 15th July! This lunch seminar is fully booked. Registration is closed.Thank you for your interest. Be surprised: Registered participants of our lunch symposia can look forward to receiving a special surprise! Click here for an overview of our posters, presentations and products, presented at IMSC 2014.